Giovanni Grimaldi was a lawyer and had nothing to do with the sea and ships unlike his wife Amelia Lauro who was the one that pushed her children Guido, Luigi, Mario, Aldo and Ugo Grimaldi, towards shipping, under the wings of her brother Achille. The history of Amelia’s family and shipping goes back in 1348! At 1947 Grimaldi brothers started their own history by purchasing a Liberty vessel, a type of cargo ship used by the U.S. fleet, adding like this the first stone for the creation of the Grimaldi empire. At 1960 Grimaldi Group began to strengthen its freight operations with bulk freighters and tankers. The expansion in the RO/RO sector is causing the launch of the Group to the top of North Europe,the Mediterranean, West Africa, South America and finally the whole world! 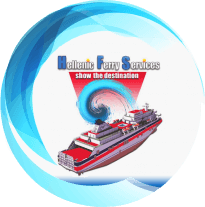 With more than 50 years experience in the shipping field – pioneer in loading and unloading Roll on/off, Grimaldi Group Naples is one of the largest private shipping companies. The Group was established 50 years ago from Grimaldi family at Italy who are still active in leading the company and has been developed to one of the main line managers in range, covering the entire Atlantic and the Mediterranean. 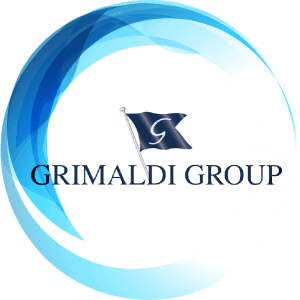 Grimaldi Group Naples as the pioneer of loading and unloading Roll on/off, today has one of the biggest and most modern fleet in order to build the most advanced and multiple use RO/RO vessels. The Group has made it clear that they want to remain the pioneer of marine technology.